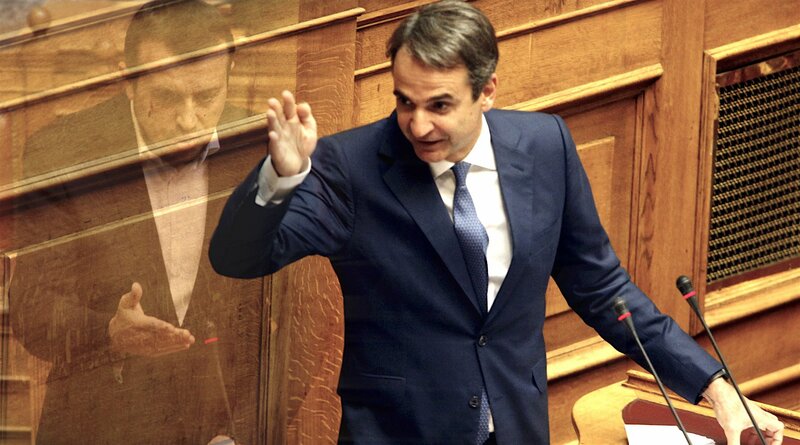 Main opposition New Democracy MPs, led by the party leader Kyriakos Mitsotakis, on Monday demanded to know why Digital Policy, Telecommunications and Media Minister Nikos Pappas had taken a trip to Venezuela in 2013 with a lawyer specializing in offshore companies, in a question tabled in Parliament for Pappas and Prime Minister Alexis Tsipras.Citing a report in the newspaper “Eleftheros Typos” published on Sunday, the main opposition MPs said that the Greek people had a right to know the real purpose of Pappas’ trip in 2013, accompanied by one of the lawyer’s involved in the Panama Papers affair. “It is absolutely certain that Messrs Pappas and Artemiou did not find themselves in Caracas to talk about vegetables, as the minister had originally claimed and was later refuted by Artemiou, but had a series of meetings with various representatives of the Chavez government and business people that Pappas, for reasons of his own, attempted to keep secret,” ND said. The MPs’ question notes that the minister was eventually forced to admit knowing Artemiou, after the release of a photograph showing Artemiou exiting the government headquarters on October 10, 2016, while he only admitted to the Caracas trip after photographs of the visit were also made public. ND demanded to know the reason for Artemiou’s visit to the Maximos Mansion on October 10, 2016, what expertise Artemiou provided to Tsipras and Pappas, given that he specializes in offshore firms, who paid the trip to Venezuela, whether the SYRIZA party received funding from either the Venezuelan government or businesses, whether Pappas met Khalil in Venezuela, whether the aircraft he used belonged to Khalil, whether Khalil met any members of the Greek government after January 25, 2015 and the links between Pappas, Artemiou and Khalil.